This instruction was developed at the HuMAN Lab by Kira Bleck for researchers who are going to measure length of long bones in living individuals. 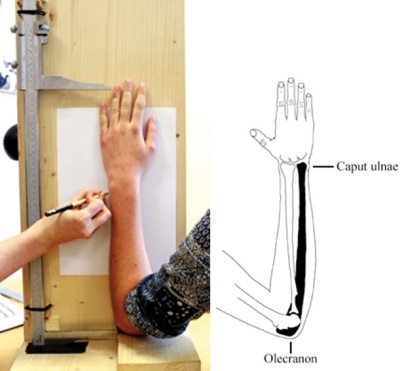 It contains measurement of the ulnar length using the arm-length-measuring-apparatus (ALMA) and measurement of the fibular length assessed via sliding caliper. Interrater reliabilities between two individuals measuring long bones in the same person are above .90 for ALMA-based assessments (ulna) and range from above .80 to above .90 when measuring the length of the fibula by sliding caliper.